Offering you a complete choice of products which include automated dietary fiber analyzer, automated fiber analyzer, soxlet extractor, daisy incubator for digestibility study, ankom hci hydrolysis system and gas production system. The ANKOM Total Dietary Fiber Analyzer creates a new standard for nutritional labeling, quality control, and research by automating one of the most tedious analytical methods, the ANKOM analyzer reduces labor and per sample costs, while increasing accuracy and precision. An advanced computer controlled multichannel pump automates the addition of chemical solutions, enzymes, and rinses. Temperatures and agitation levels are controlled throughout the process, eliminating the need for multiple water baths and freeing up precious lab counter space. Advanced Filter Bag Technology increases filtering surface area which reduces the time needed to filter samples and eliminates the use of vacuum flasks and crucibles. 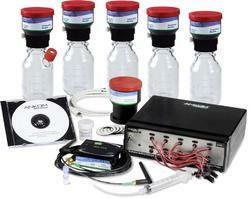 The instrument comes with all containers needed for solutions and filtrate capture. The ANKOM2000 Fiber Analyzer has been subjected to rigorous testing over a broad range of sample types, and is used by ANKOM for the NFTA and AAFCO check sample programs. The ANKOM2000 Fiber Analyzer provides increased automation to enhance laboratory operations and reduce labor costs. Automation eliminates chemical and hot water handling. The Instrument requires very little space. Fibre test results can be determined for Acid Detergent Fiber, Neutral Detergent Fiber, and Crude Fiber for all feeds and forages. The ANKOM2000 is accurate and precise when compared to conventional fibre methods. Most elements of technician variability are eliminated and there is no separate filtration step, so consistent results are achieved time after time. Filter bags encapsulate sample which prevents error and allows filtration to occur passively. Filter bags also enable batch processing of up to 24 samples at a time. Consider purchasing the optional chemical shelving system (A01) which supports and positions chemical cubetainers for seamless operation and flow. System requires a hot water connection for no less than 50°C for crude fiber analysis and 75°C for detergent fiber analysis. ANKOM can provide a low cost water heater, ask for details. The ANKOMXT15 Extractor provides an Official Procedure for efficient and economical solvent extractions. 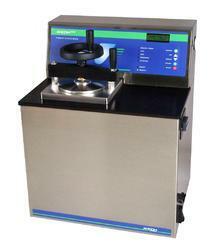 The ANKOMXT15 Extractor has been subjected to rigorous testing over a broad range of sample types. Fat ranges from 0% to 100% have been determined using this procedure. The XT15’s low cost provides an affordable high-volume solution. Batch processing allows for the extraction of up to 15 samples at a time and is capable of more than 150 samples per day. Also 90°C temperatures accelerate extraction kinetics, reducing most extraction times to under 40 minutes. If using solvents such as diethyl ether please ask about seal upgrades. There is no need to replace seals when using Petroleum Ether or Hexane. 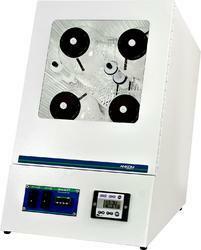 The DAISYII Incubator has been subjected to rigorous testing over a broad range of sample types. Results can be determined for In-Vitro True Digestibility, Apparent Digestibility, Rate studies, Neutral Cellulase Gamanase Digestibility, and other related studies for all feeds and forages. 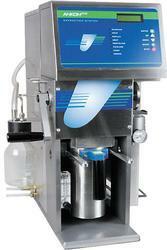 The DAISYII employs filter bag technology, which encapsulate samples and prevent filtration errors. Filter Bag Technology also enables batch processing of 100+ samples at a time. The ANKOMHCI Hydrolysis System provides an easy method for performing the hydrolysis step in total fat/oil analysis. Taking up little counter space, the ANKOMHCIallows for batch hydrolysis of up to 15 samples at a time. The technician inserts up to fifteen samples into the vessel, adds the acid solution and follows the system screen prompts. 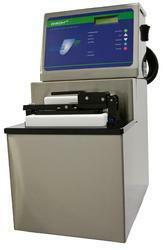 this piece of hydrolysis equipment allows for batch hydrolysis of up to 15 samples at a time. Using Filter Bag Technology, total fat/oil hydrolysis is simplified. The technician inserts up to fifteen samples into the vessel, adds the acid solution and follows the system screen prompts. 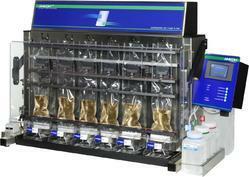 Once the program is selected the system automatically completes the process and rinses the samples. Gas Production System provides an easy to use method for monitoring and measuring gas production. The system consists of sample bottles in 250ml, 500ml or 1000ml sizes, RF pressure sensor modules, a "zero Remote" that measures ambient pressure, a computer interface base coordinator and operational software that can be used with any PC using a Windows XP/Vista (or higher) based operating system. Samples and microbes (or other fermentation sources) are placed in the bottles; the RF sensor module is attached and placed in an incubator. The pressure of each bottle can be measured at user selected time intervals. Pressure measurements are recorded on a standard Excel spreadsheet and gas production curves can be generated by the users. Pressure can be outputted in psi or bar. Any application requiring the monitoring of gas production or vacuum (BOD) can be supported. Current and potential applications include, but are not limited to, Ruminent Nutrition, Human Digestion, Yeast Vitality / Activity, Biomass to Energy, Biodegradability, Soil Quality, and more. Each module supports gas sampling and optional liquid sampling during the process. Looking for Food & Nutrition ?